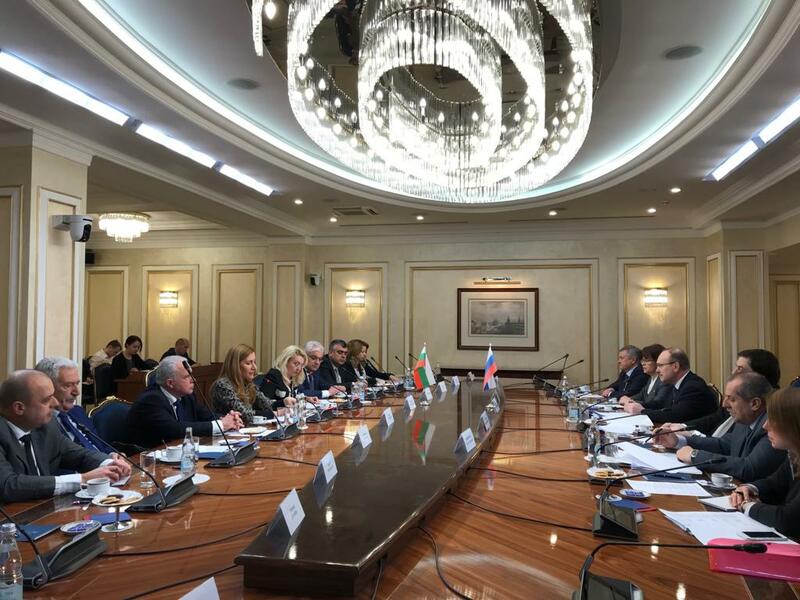 Minister of tourism Nikolina Angelkova held in Moscow meetings with representatives of the Council of the Federation and the Bulgaria Cooperation Group. The minister is on an official visit in the Russian capital, accompanied by a Bulgarian parliamentary delegation. “For me as a minister and for the Bulgarian government it is important to ensure the safety and security of each tourist. These were also the highlights of the meeting of the prime minister Boiko Borisov and the president Vladimir Putin last year in Moscow,” said minister Angelkova. She emphasized the great importance of the Russian market for the sustainable development of the inbound tourism in Bulgaria and ensured the people present that the department had made constant efforts to stimulate the tourist flow from the Federation. “The commitments to work for the increase of the tourist flow will be met. One of the highlights was a two-year plan for the tourist sector which was accepted at a meeting of the Working Group in October 2018. At that meeting possibilities were discussed to declare a year of Bulgarian tourism in Russia and vice versa in order to stimulate the tourist flow to our country, we will work with the Russian regions,” said minister Angelkova. “We are having negotiations and organizing regular meetings with the tour operators working on the Bulgarian market.” Minister Angelkova thanked for the support which the institutions in Russia render for popularizing the bilateral relations and the tourism in particular. “This economic sector in extremely important for Bulgaria and there are long traditions of good business relations between Russia and Bulgaria. We work to build on the results achieved and to ensure high quality of the services offered in order to become a competitive and desirable destination,” generalized the Bulgarian minister of tourism. A discussion took place under the authority of minister Angelkova with the following participants from the Russian side: Vasiliy Ikonnikov, Head of the Cooperation Group between the Council of the Federation and the National Assembly, Igor Fomin, vice president of the Council of the Federation on social policy and member of the group, Veleriy Kulikov, member of the Committee of the Council of the Federation on defense and safety and member of the group, Elena Popova, member of the Committee of the Council of the Federation on social policy, Vasiliy Zhelnov, head of the Department for Bilateral Interparliamentary Cooperation of the International Relations Department of the Council of the Federation, Lidiya Nikitina, responsible secretary of the Cooperation Group between the Council of the Federation and the National Assembly. The participants in the workshop from the Bulgarian side were the Vice-President of the National Assembly Yavor Notev, Krasimir Velchev, co-chairman of the Bulgaria-Russian Friendship Parliamentary Group, the deputies Hristo Prodanov, Hairi Sadakov, Polina Tsankova-Hristova. 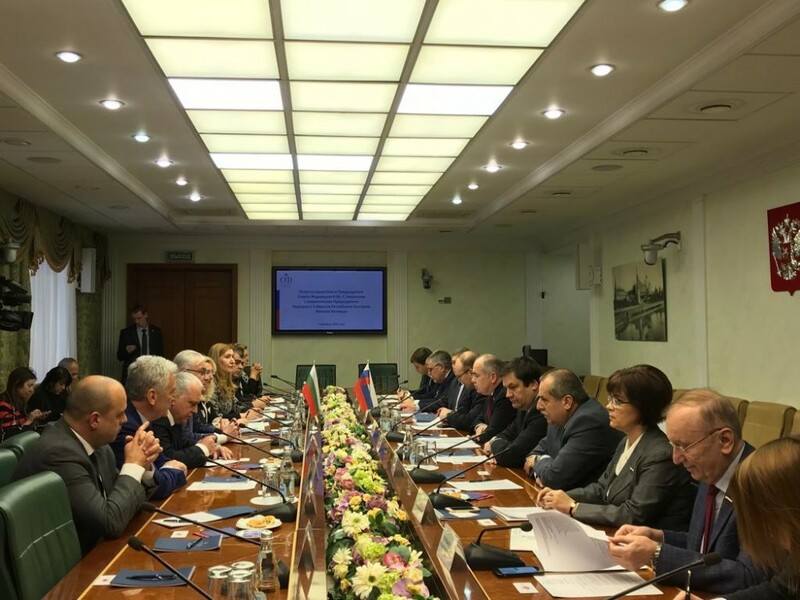 The Bulgarian and Russian deputies agreed that the achieved results in the cooperation in the sphere of tourism between the two countries would serve as serious ground for better business relations between the two countries. They expressed their desire for cooperation for the purpose of encouraging the bilateral relations in tourism. “We did a lot to attract the Russian tourists. The revenue growth is indicative. This is undoubtedly a success for Bulgaria,” commented Igor Fomin. Later the Bulgarian delegation and minister Angelkova had a discussion with the vice president of the Council of the Federation Ilyas Umahanov. Igor Chernishenko, member of the Committee of the Council of the Federation on federative development, regional policy, local self-government and North matters, also took part in the meeting. From Bulgarian side the meeting was under the authority of the Vice-President of the National Assembly Yavor Notev. Ilyas Umahanov welcomed the efforts of the Ministry of Tourism to popularize Bulgaria as a destination among the Russian tourists. Yavor Notev announced that in the delegation there were representative of all parliamentary groups in the Bulgarian parliament and that choice of members was not incidental. He thought that the important thing was that Bulgaria and Russia had economic topics on their agenda and that quite a big part of the achieved in the sphere of tourism was due to the good management of the Ministry of Tourism and the personal contribution of minister Angelkova.